Add a bit of bling! Tame your tresses with a touch of glamour and a whole lot of style. 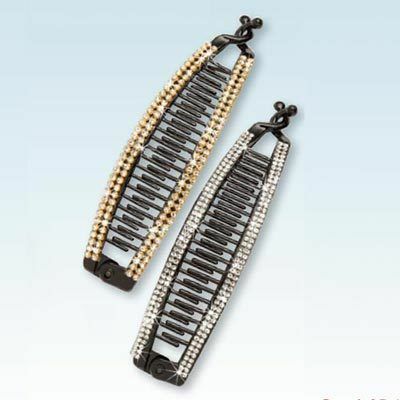 The classic blinged out banana clip gets a makeover with two rows of brilliant, clear faux gems on a sturdy plastic base. Perfect for any hair type. Hinged bottom and locking top makes it a snap to insert and remove. 6"l.